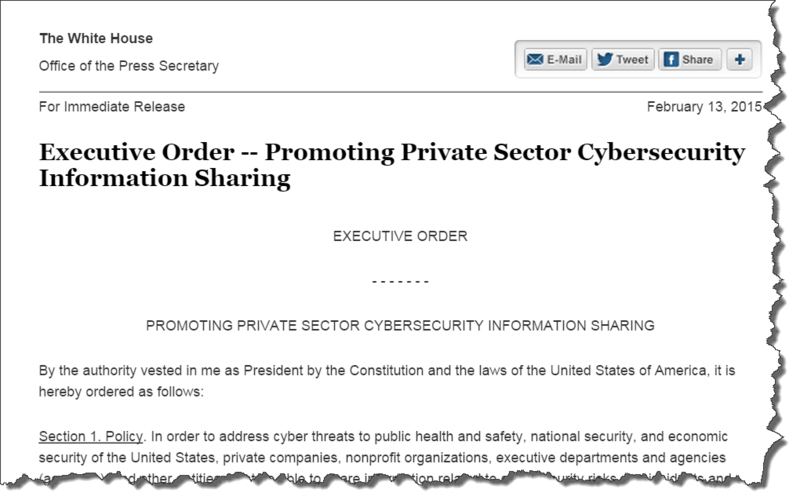 On February 13, 2015 -- a year plus one day after the President's Executive Order directing NIST to build the new Cybersecurity Framework -- President Obama issued an Executive Order entitled Promoting Private Sector Cybersecurity Information Sharing. The fundamental aspect of the EO is to emphasis that "...entities must be able to share information related to cybersecurity risks and incidents and collaborate to respond in as close to real time as possible." Certainly commendable policy and something the industry has needed/wanted for years. The Order directs the Secretary of the Department of Homeland security to "...strongly encourage the development and formation of..." ISAOs. The Order offers some details on how the ISAOs should be organized and how their membership can draw on public or private sectors, and offers the option for the ISAOs to be formed as for-profit or nonprofit entities. The National Cybersecurity and Communications Integration Center (NCCIC) is ordered to engage in "...continuous, collaborative, and inclusive coordination with ISAOs on the sharing of information..."
The Secretary of DHS is orderd to "...enter into an agreement with a nongovernmental organization to serve as the ISAO Standards Organization (SO), which shall identify a common set of voluntary standards or guidelines for the creation and functioning of ISAOs under this order." It is commendable that President Obama has stepped forward -- again -- to help raise awareness and take action relative to the issue of cyberthreats to our country, economy and its businesses and citizens. However, a question continues to be raised with this Executive Order. That question really is ... "Aren't we already doing this with Information Sharing and Analysis Centers (ISACs)?" ISACs are trusted entities established by Critical Infrastructure Key Resource (CI/KR) owners and operators to provide comprehensive sector analysis, which is shared within the sector, with other sectors and with the government. 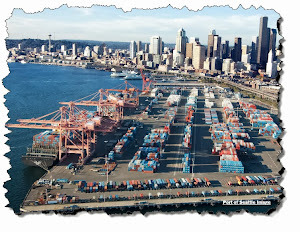 ... Services provided by ISACs include risk mitigation, incident response, alert and information sharing. The goal is to provide users with accurate, actionable, and relevant information. share and provide analytical support to government and other ISACs regarding technical sector details and in mutual information sharing and assistance during actual or potential sector disruptions whether caused by intentional, accidental or natural events. Isn't an ISAC filling part of the role of the ISAO discussed in the Executive Order? Can't ISACs continue with their current roles and capture the essence and elements of the Executive Order? The idea of establishing a new bureaucracy and hierarchy of ISAOs that essentially parallel the current ISAC structure and functions does not appear to be very efficient and could lead to more confusion, increased bickering and "turf wars" and finally not help or encourage effective information sharing to better protect our country, economy, businesses or citizens. At a minimum it is highly recommended that the Department of Homeland Security take time to compare the efforts of the ISACs to the Executive Order and build upon current efforts and not try to push through a distracting, parallel effort.